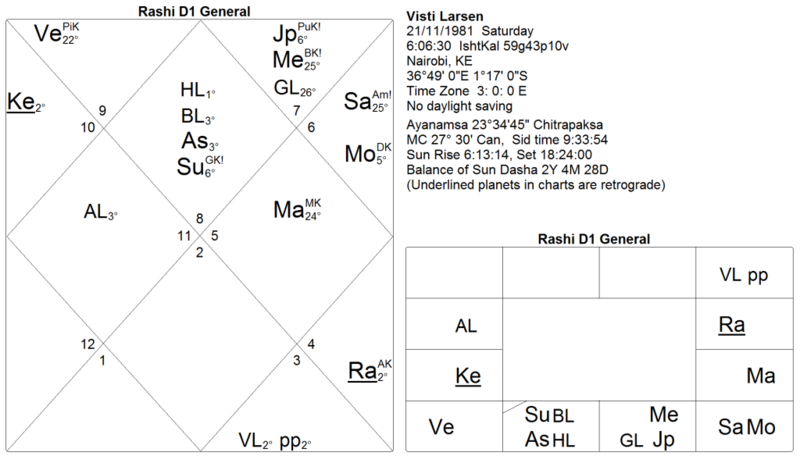 As evident, most of the cases of kāla amṛta/sarpa yoga cause delays and in some few cases also a complete denial of professional pursuit, until the issue is remedied. The cases cited above are the lucky ones, whilst many soul’s lives are quite trapped by the yoga and have yet to find any relief or stability in their life as a result. 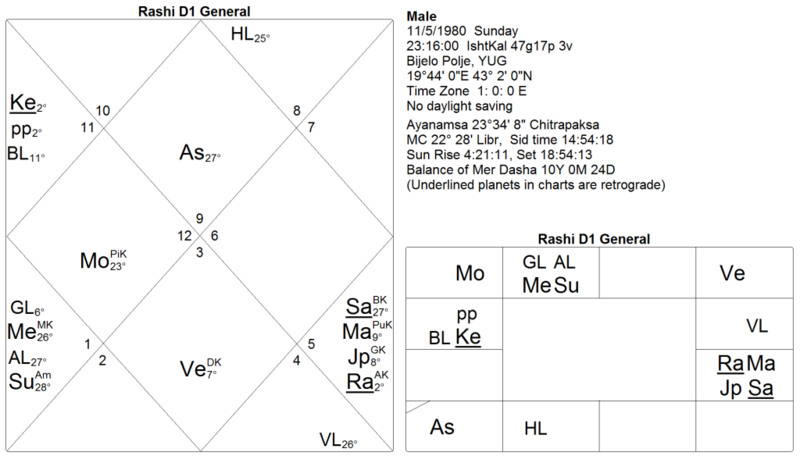 Due to the intense grasp of the nodes on the chart, some say that the leading node in the yoga (Rāhu for kāla sarpa, and Ketu for kāla amṛta) act as a temporary ātmakāraka until the yoga reaches its culmination. 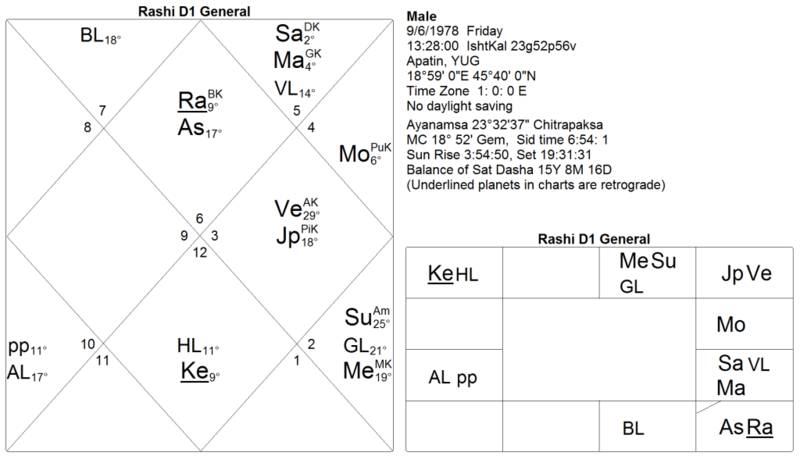 Venus is also the only planet breaking the kāla amṛta yoga by being joined one of the nodes, showing the sister, aunt or even of marriage are important ties to ensure the bonds of the kāla amṛta yoga are broken.